Happy Monday, dear readers! I am so excited about this week! After all the business of the holiday season and so many half days or full holidays messing with my schedule (or more importantly, my kids' nap schedule), I am so glad to see the return of a normal week again! Mondays are particularly interesting for 2018 since that is the reveal day of the weekly nail art challenge I am participating in. For today's blog post, I wanted to share my half moon mani design I created for the challenge. Check it out! Rather than sticking with a more simplistic and classic half moon manicure design, I opted to take advantage of the weekend and mix it up with the snowflake design I've had on my mind for almost a month now. Once I received Curiouser and Curiouser by Literary Lacquers, I knew I needed to use this shade as my base for a snowflake manicure. I added some depth to my snowflake design by stamping multiple layers of snowflakes in a range of shades. I started off with Check Out the Silver Fox by China Glaze before adding single flakes with Zoya Song and Rica Whiteout. I used stamping plates Ejiubas EJB-03 and UberChic Beauty Christmas 01 to create my snowflake design. Once my snowflakes were in place, I finished off my design by using Liquid Leather by China Glaze to create my half moons. I had a lot of fun creating this design! I don't think I would have even considered adding the half moon aspect to this look if it weren't for the challenge, and I love the unusual twist it adds to my manicure! 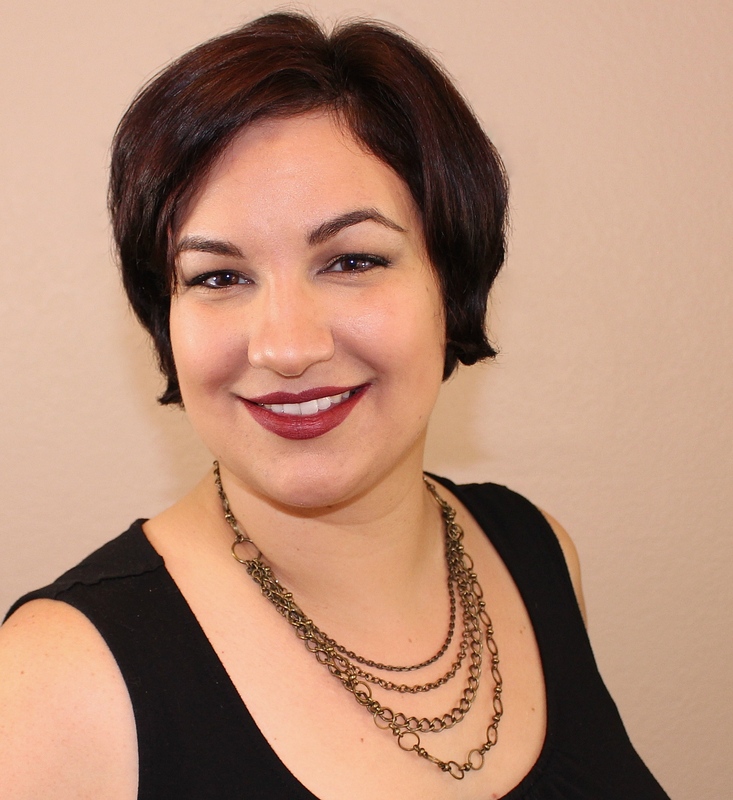 Check out how other bloggers where inspired by the "half moon" prompt below! Wow, this is such a complex winter mani! I love Curioser & Curiouser and it looks great here with black and snowflakes! I really love the nail art you did to update the classic half moon!!! With all this snow and ice we’ve been having here on the East Coast, I’m feeling these winter blues lol! I’ve always like half moons, so this twist on it is really fun! Oooo this is very pretty! Snowflakes are very popular this week! Love a good half moon design. It always makes the mani look so modern. 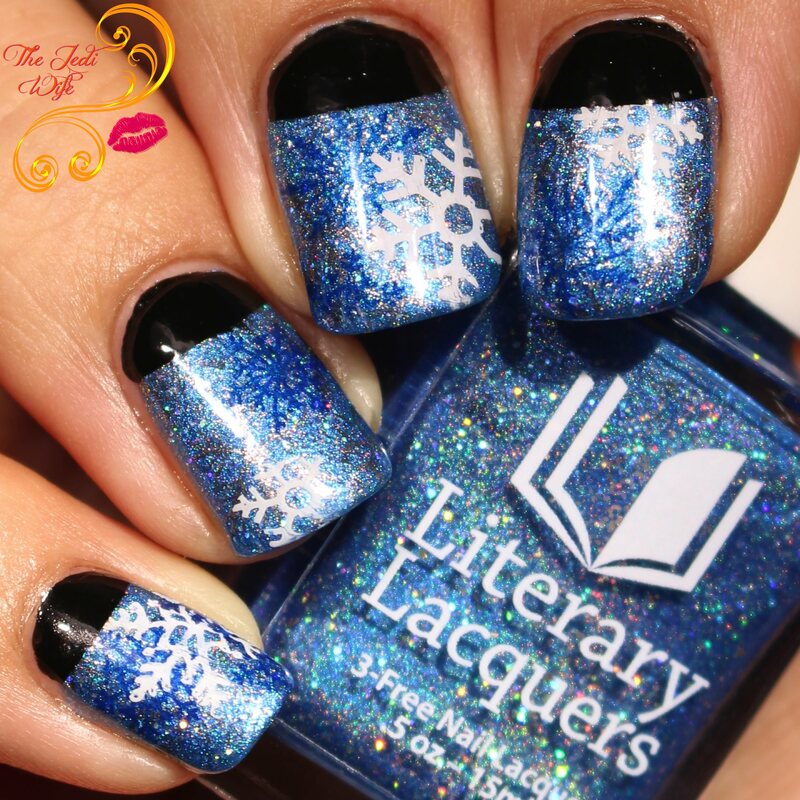 That Literary Lacquers is so pretty! I love the addition of the half moon. It totally works. I love this look, it's so complicated! The half-moon is very cool. It makes me feel 100% better that I'm not the only one still doing snowflake manis right now. This turned out really fun! I love half moon manicures. You make me fall in love with that Lit Lac all over again! I am so in love with this look!!! Everything is perfection!!! I love the contrast of the black and the sparkles!